Photographs of sunsets and sunrises. 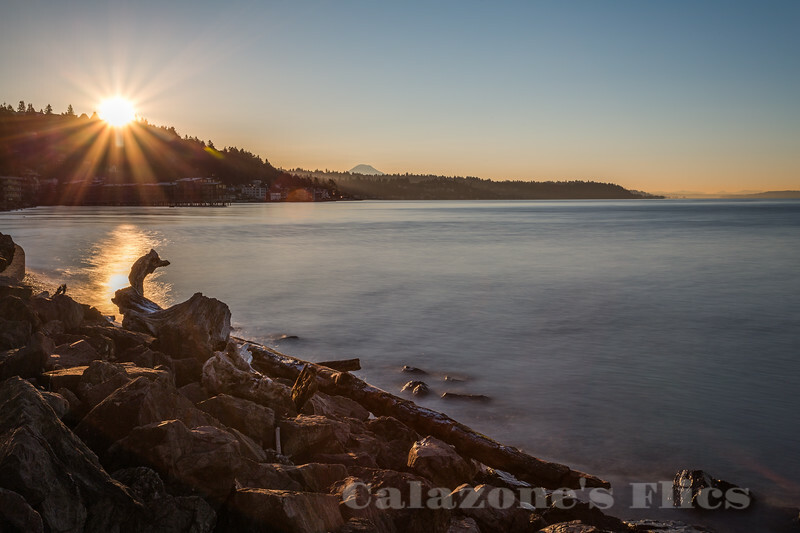 Alki Point is the westernmost point in the West Seattle district of Seattle, Washington; Alki is the peninsular neighborhood surrounding it. Jutting out into Puget Sound, Alki was the original white settlement in what was to become the city of Seattle. Part of the city of West Seattle from 1902 to 1907, Alki was annexed to Seattle along with the rest of West Seattle in 1907. The Alki neighborhood extends along the shore from the point, both southeast and northeast. To the northeast it continues past Alki Beach roughly to Duwamish Head, the northernmost point of West Seattle. Alki Point also marks the southern extent of Elliott Bay; a line drawn northwest to West Point marks the division between bay and sound. The Duwamish called it "Prairie Point" (Lushootseed: sbaqW�baqs). The name refers to prairies near the point that were maintained through seasonal burning by indigenous cultivators. It was a place of native occupation as well as colonial reconnaissance well before 1851. Other names for the point include Battery Point, Me-Kwah-Mooks Point, and Roberts Point.